This color chart is for reference only and is not to be used for final color matching. Shades may vary due to the color and resolution of your computer screen and/or your particular color printer output. 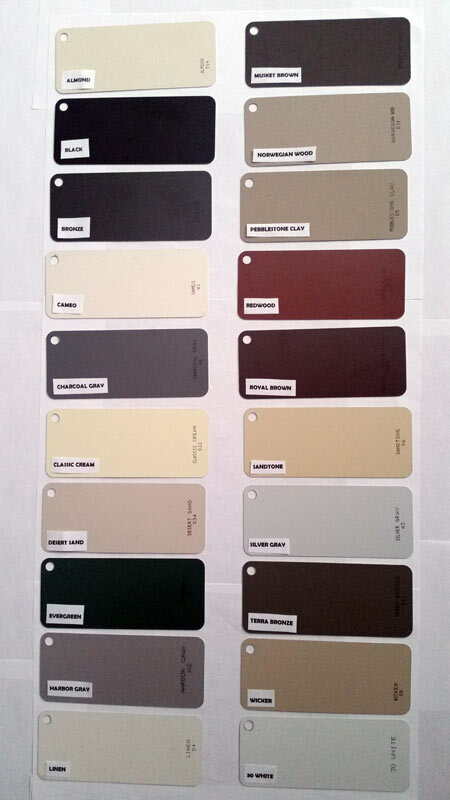 Gutter Supply Company is not responsible or liable for color matches made with online color chart. Please contact Gutter Supply Company at sales@guttersupplycompany.com if color matching is that critical so that the appropriate color samples may be mailed to you prior to placing an order with Gutter Supply Company.